This spacious property is situated in a quiet and idyllic location, surrounded by vineyards, close to the town of Felanitx. The view extends over the surrounding vineyards and across the countryside of the south-east of Majorca. The property is currently being completely renovated and built up to the highest standards. 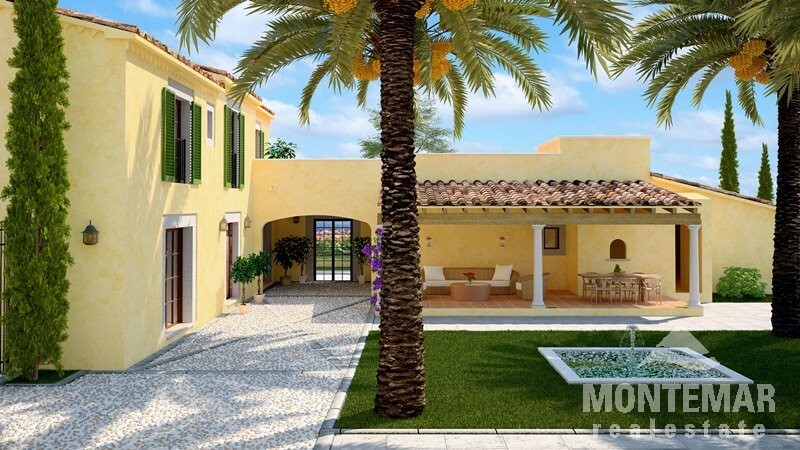 It consists of a main house with 600 m² constructed area and approx. 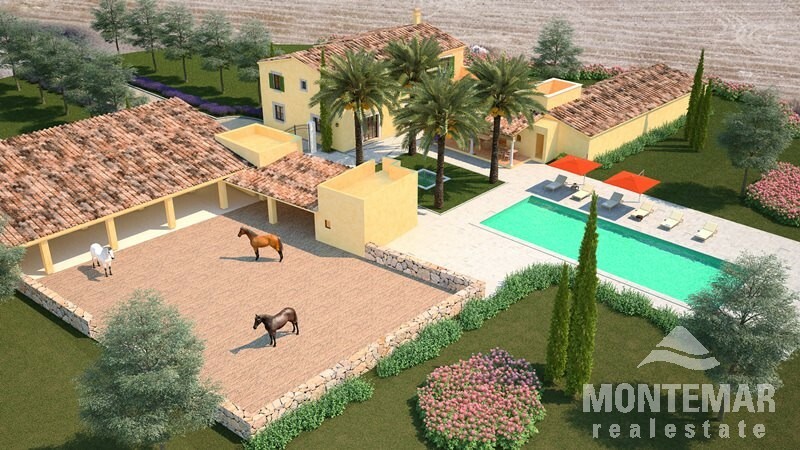 600 m² of stables and outbuildings on a 94.000 m² sized plot. Water by own well with 50.000 liters/hour, electricity powered by Gesa. This property is ideally suited for horse keeping and it is possible to buy more land if necessary. 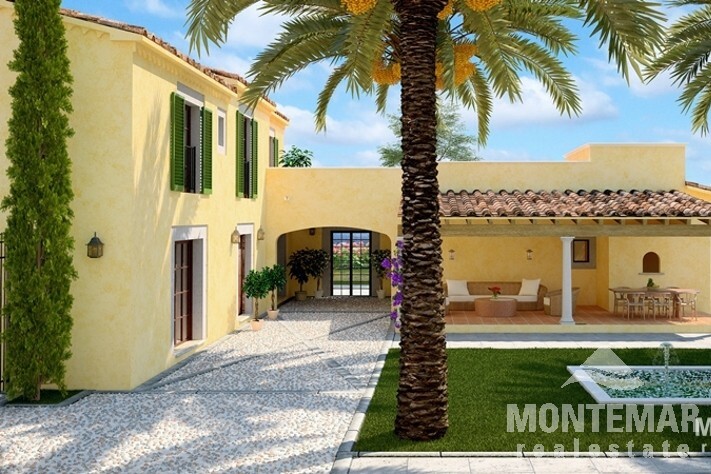 After completion of the renovation, the price will be € 1.9 million. Felanitx is centrally located in the very scenic south-east of Majorca. The place has an excellent infrastructure and excellent roads to many areas of the island. It takes just about 10 minutes to drive to the sea, for example to Portocolom, the largest natural harbour on the island, where you can find a variety of excellent restaurants, located amidst the picturesque old port. The famous golf course of Vall d'Or can be reached in less than 15 minutes and Palma airport is 45 minutes away by car.